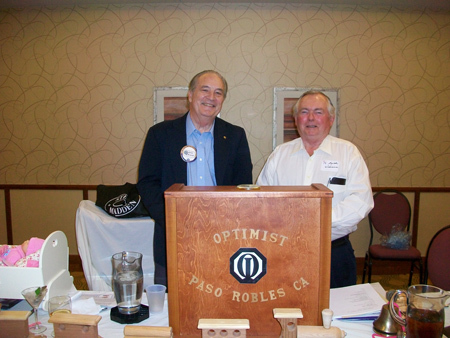 Optimist Club - In March 2010 Keith Williams built and delivered a portable podium to the Paso Robles Optimist Club. See the photo below. .